This was not a book I had read yet and the comments sure peaked my interest! I reached out to Moody Publishers to see if they might be willing to send a copy for me to review and a copy for me to giveaway. They were quick to say yes! 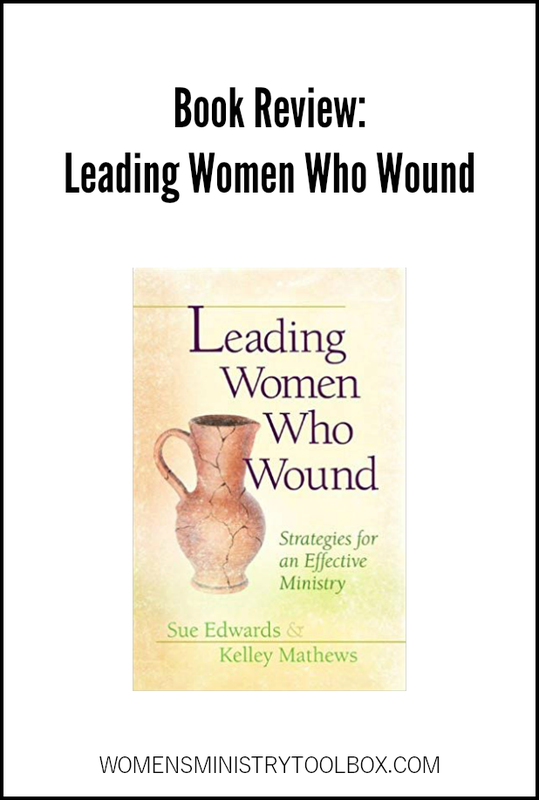 I’m excited to share with you my thoughts on Leading Women Who Wound: Strategies for an Effective Ministry. I don’t have a lot of books on my must-own list for women’s ministry, but this is definitely one of them! Raise your hand if you’ve ever had to deal with conflict in ministry. Leading Women Who Wound provides practical strategies we can employ when working through conflict resolution. We all wound one another from time to time. Refusing to become skilled at reconciliation will doom you to a lonely life of superficial relationships. And you will be ignoring a direct command of your Savior. You’ll return time and again to the timeless, Biblical advice offered by authors Sue Edwards and Kelley Matthews. Explore personality traits and issues that may set you or your team members up for problems. Work on ways to toughen up, snuff out people pleasing, and practice peacemaking in your everyday lives and relationships. Learn how to differentiate between a woman who is bringing helpful, constructive criticism from one who is out to harm us or our ministry. Learn how to take steps to avert conflict before it strikes. Questions at the end of each chapter allow groups to process and apply the principles in the book. You’ll find the chapters are a quick read, packed with information and practical tips. It’s the personal stories of conflict gone-wrong that set this book apart. Both Sue and Kelley have been active in women’s ministry for many years and share true stories from the front lines of ministry. They share in such a way that you feel them coming alongside you, encouraging and coaching you to love the very women who may wound you. Most critics are normal, healthy people who are displeased or hurt and need attention. They need to know that you care about them and that you will listen to their ideas. Leading Women Who Wound would be an excellent book to work through with your team this next year. Consider covering one chapter each month at your team meetings. Be sure to check out the Conflict Resolution Covenant for women’s ministry teams included in chapter 8. The goal is always to glorify God. Advice is offered through the lens of the Gospel. The differences between how men and women handle conflict are discussed. In light of how men and women handle conflict differently, there is an entire chapter written to male pastors to help them navigate those differences and help women move toward reconciliation and healing. While I hope and pray this book won’t be one you’ll have to repeatedly pull from your bookshelves and put into use – it is a book you’ll want easily accessible when conflict arises. May God grant each one of us wisdom and humility when we encounter conflict. Disclosure: I received two copies at no cost of Leading Women Who Wound; one to give away and one to review. All opinions expressed are 100% my own. Justine, I think you’ll find it to be very helpful! Oh my goodness I am so glad this book exhists! I have to read it!!! I love how God can direct our steps to just the right resources! 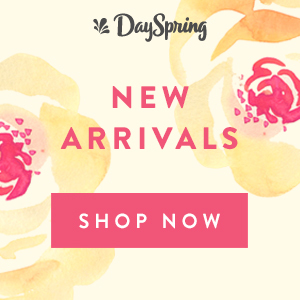 Praying God will prepare the hearts of your women now for a fresh new direction! God is good all the time!!! I stumbled on to your page and it was just what I needed. I will be taking over the women’s ministry at our church in a few months. I am looking to take it in a new fresh direction that will hopefully help make all the women of every age more involved. I am focusing on mentoring, missions, and discipleship. Thank you for offering this book! I’m currently in a stressful relationship with a difficult person in my church. I’m leading ladies ministries and am discouraged constantly by this one person. I would love to win this because I’m a pastor’s wife and there’s so many situations with women that I’m not sure how to handle. The church my husband pastors is a growing and has many very young Christians and some of them are difficult and dramatic. What a wonderful tool to have in my library! 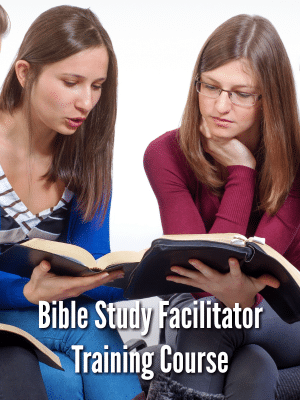 I would love to read this as I am taking Biblical counseling classes as well as joining in helping with the women’s discipleship ministry at our church! This books seems aas if it would be very helpful. This issue was just discussed in my group about how to help navigate groups of women! I think this book would be very beneficial. We all know one or more women who wound, so this book will be helpful in including them in ministry. I would love to have this book. I have such a desire to serve the Lord through ministry to women! 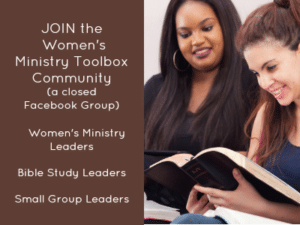 I started a women’s bible study at my church but would love for it to blossom into something that could impact my community for Christ! This would be an excellent book to read just because I am a women. I think women need to keep educating themselves on relationships with other women, to keep weeding out when we are not being genuine. To become the one true person we are meant to be. Of course, all is to align with the Word of Gid. I would love this book to share with our ladies ministries committee as we approach our 2019 conference. As the leader of this group of precious women it would be a good resource to learn how to avoid or to deal with women who wound. The conflict will come when you least expect it! This book looks really helpful. I would love a copy of the book to help me with the conflicts I’ve had to deal with since taking on a new position at my church. Would love to read this! Conflict is inevitable unfortunately even in church. Have already experienced some conflict and would love to be able to handle better! Love your books and resources! This is a blessing to all women and especially women’s ministry leaders. This looks like a book that should have been in my hands and on my shelf a long time ago. Not only do we deal with conflict in our ministry, but also at our jobs. Having healthy conflict resolution help would be great! This sounds like an amazing book! I will be adding it to my library. Thank you for the tip. We are refreshing our women’s ministry, and this will be a great resource to have as we move forward! I would love to win a copy of this book so I can be a more effective leader in ministering to women! Thank you for the chance to win! Thanks Cyndee for this resource. As a women’s leader, I must always remember that the difficult ones are there to help smooth out my rough edges. I’m looking forward to gleaning wisdom from it. A large part of my ministry is serving current and formerly incarcerated women. They are so hungry for the Lord, but can be vicious to each other. I need this resource! Thank you for sharing your review!! I wish I didn’t need this book, but alas, I do! Thanks for the review. I wish I didn’t need this book, but I do! Thanks for the review. Sounds like a book for all Women’s Ministry leaders. Wish I could have read it a long time ago. Your 4 point list (especially the first two) that sets it apart from other books, makes me anxious to read it. Thank you for sharing your review. 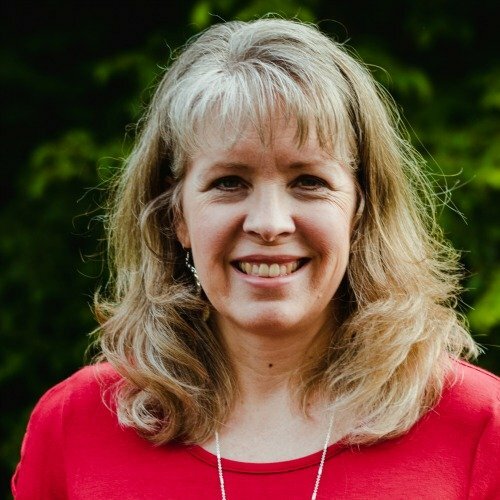 I have just started to lead our church’s women’s ministry and can definitely use resources on how to handle different situations when they arise. I am blessed that God has given me such a wonderful group of ladies that have opened their arms and their hearts to me. I have experienced MANY conflicts in my time as a women’s ministry leader. In fact, some of those conflicts are on going. I would love to win a copy of this book and learn how to better deal with them! As a Pastors Wife, I’ve experienced numerous situations such as this. I’m always looking for tools to help be a better leader and help women navigate through such situations. I attended a conference this past week-end – theme Healing the Wounded…..So many women in the Body of Christ are wounded. I would love a copy of this book as I lead Women’s ministry in my church! Blessings ! Having been in a situation with a woman who was intent on destroying our ministry through any means necessary, I am very interested in reading this book. I truly believe that she didn’t even realize what she was doing was wrong but we were unprepared and did not know how to handle the situation. I am sure this would be helpful moving forward. I would love to read this. I have been actively leading the women’s Ministry at my church with two other ladies. At one time there were 6 of us. We deal with a lot of wounded women, including ourselves sometimes. I would love to have this resource to learn from other women ministry leaders and implement their ideas and strategies so we can love them better. This book sounds awesome. Would be wonderful to read. i studied this book in my Women Ministry course with SWBTS. It is very enlightening and provides clarity in dealing with difficult women. I highly recommend this book to women’s ministry leaders. Being new at leading a women’s ministry this book would be a great benefit and blessing to me! Thank you for the review. Wow… great title and the chapters look super helpful. My husband is a pastor and I lead women’s ministry. This looks like a helpful too. Could have used it about 14 years ago when we first started this journey. I was very sideswiped by certain women who wound. Thankfully God was gracious but I am so glad this book exists. Oh, this book looks so good and very practical. Navigating relationships is a hard one in women’s ministry, and I definitely need help in this area. I really hope I win!